Kusafiri Coffee Shop and Bakery is located on the edge of downtown Harambe in the Africa area of Disney’s Animal Kingdom. This coffee shop and bakery serves freshly brewed coffee, cappuccino and espresso along with delicious pastries, cookies, muffins and cakes. One of the unique pastries found here is the elephant ear pastry. The elephant ear pastry is a large delicious pastry shaped like elephant ears! The pastry is covered in a delicious sugar coating giving a nice crunch on the outside. Once you go beyond that layer you will enjoy the soft pastry inside! These pastries are also dipped in milk chocolate. This is a great snack credit option to serve as your breakfast as you explore Africa! The elephant ear pastries are a great to-go styled pastry for those looking for a quick snack. With the size of the pastry, they’re plenty to share! These can also be found at the Harambe Fruit Market until 11am. This is great for those looking to beat the lines at the Kusafiri Coffee Shop and Bakery! 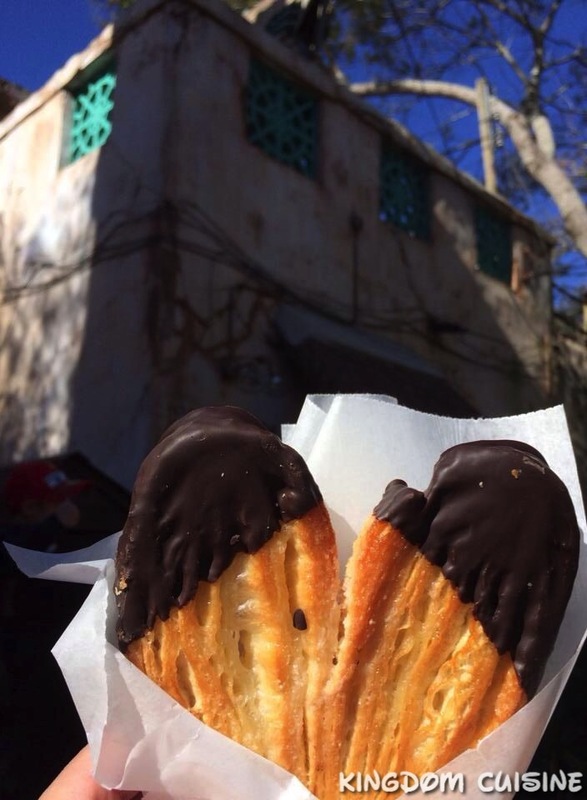 Next time you are looking for a nice snack or delicious breakfast head over to Kusafiri Coffee Shop and Bakery or the Harambe Fruit Market and enjoy one of these tasty elephant ears!